Industry leading uPVC manufacturers of Deceuninck windows providing energy efficiency, security and aesthetics. We are the first fabricator in the UK to use the state-of-the-art Seamless Quad Welder, using a revolutionary welding process in manufacture. Gain a competitive advantage today with our exclusive range of exquisite, seamlessly finished windows and doors.View our extensive range of beautiful StyleLine windows & doors to see the difference. Pricing, marketing support, order tracking and more. We offer an easy to use and simple to understand service that will enable you to grow your sales, reduce call backs, reduce after sales and promote your brand image in a way that truly stands in line with your ideals. Our express lead times allow you to offer your customers more, more frequently. We always deliver on time, on spec and on budget to ensure you can keep your business running smoothly and efficiently. We stand as the smart way to achieve customer satisfaction. Fully accredited, quality made windows and doors allow you to uphold your reputation as a prestigious double glazing installer. We only offer the very best home improvement solutions so you’ll be able to benefit from the peace of mind that you are offering the best. Our no fuss 24 hour remake policy means that should you experience a change in your project, you’ll be able to get things back on track as soon as possible. We don’t compromise on quality, ensuring we always deliver how you need it and when you need it. We offer UK wide on time delivery for all of our Approved Installers. We have a comprehensive network of hubs across the nation, which allows us to quickly and effectively accommodate the needs of all of our Network Members, wherever they are. Offer your customers a wide range of colours via our in house spray painting facility. This means that we are able to offer a comprehensive selection of bespoke colours, allowing you to widen your customer demographic and increase the potential for more sales. We offer a comprehensive range of uPVC and aluminium windows & doors, offering a selection of market-leading home improvement solutions that are set to complement any and all properties. Whether you have a new build, heritage or traditional home, we’ll have something to suit you. All products are inspected and hand finished to ensure they uphold the highest standards of performance and aesthetic. Not only does this ensure that any option you choose will be a worthwhile investment, it also ensures they are set to last the test of time even after extensive use. Capture your perfect home improvement appearance via our wide range of styles, colours & finishes. This way, you’ll be able to tailor your new addition to your tastes and property style in a simple and easy way. All colours are applied with a powder coating to ensure durability. We are proud to offer competitive prices for attractive and secure windows & doors. You’ll be able to enhance your property with a premium product without having to pay the extortionate price. A member of our team will be able to offer you a tailored price based on your specifications. Enhance your home with fully accredited, quality made windows and doors. 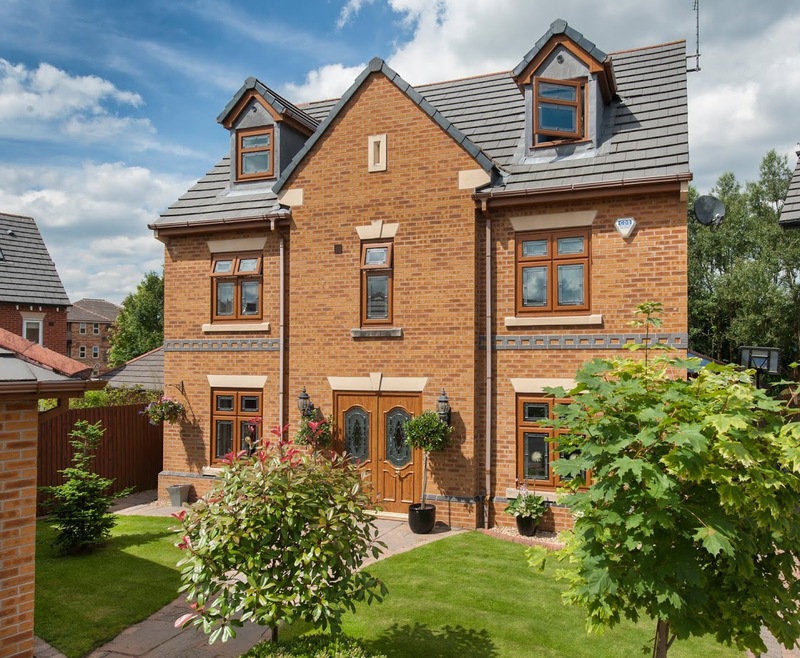 All of the options we offer homeowners have been tried and tested to ensure they offer leading standards of thermal efficiency, security and durability. You won’t have to settle for less when your enhancing your home. Our innovative, contemporary in house spray painting facility allows us to accommodate a wide range of personal tastes and colour requirements. We also offer an intelligent dual colour option that allows you to complement both the interior and exterior of your home simultaneously. Our UK wide approved installer network comprises of local, reputable double glazing installers. Sternfenster approved installers have years of experience fitting uPVC and aluminium windows, doors and conservatories. Our trustworthy installers have been vetted and approved by us so you can expect exceptional products, services and aftercare. Find your nearest double glazing installer today to see their latest products and offers. 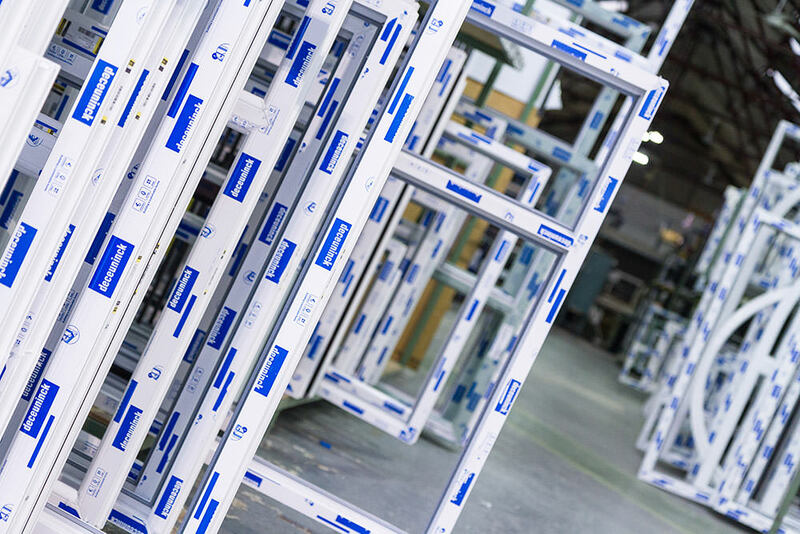 Our in-house spraying facility allows us to supply uPVC and aluminium windows in over 250 RAL colours in satin finish. We offer a fast turnaround on colour frames and can match virtually any colour. At Sternfenster, we have invested in a brand new, 35,000 sq. ft. aluminium factory to accommodate the high demand for high quality aluminium windows and doors. We offer a comprehensive range of aluminium products, including Smart aluminium windows and doors, commercial shop fronts and curtain walling, as well as aluminium bi-folding doors in any configuration.